Whether you’re wondering how to be a Twitch streamer or already have some experience with it, your Twitch streaming setup checklist should include a way to broadcast online reliably. This means that there should be no issues related to a slow and unreliable Internet connection, such as lag, buffering or disconnects, especially now that Twitch supports low latency mode. Unfortunately, one of the most common issues Twitch streamers have is exactly the Internet connection they’re streaming from. High packet loss rates due to network congestion affect the quality of the live video stream, especially for IRL streamers. Read below to see how to get a stable and fast Internet connection via our Twitch streaming setup guide! Most of the time, slow unreliable Twitch streams are a result of a bad Internet connection. 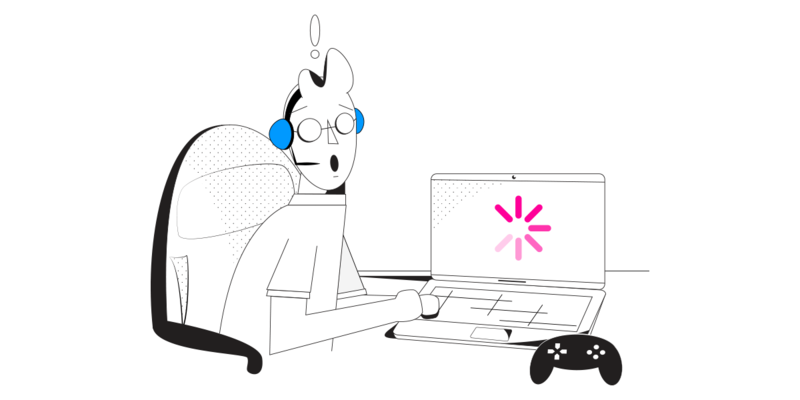 Even when you are connected to a wired Ethernet connection, your Internet may still be too slow to get the full benefit of streaming Twitch videos and live action game-play. The problem is that your Twitch streaming device – computer, smartphone or game console – isn’t taking full advantage of its capabilities. Your device sends all the data through either the Ethernet, WiFi or cellular. If there is any fluctuation or loss of signal, your device cannot receive the data packets it requested from the Twitch server. Instead, all you see is pixelated images, endless buffering, sometimes culminating with disconnects. The solution is obvious: get your devices to use all available connections at once in a smart way to maximize bandwidth, minimize latency and packet loss. Since your streaming devices (computers, smartphones) are actually capable to use multiple Internet connections, you need an app to make that happen. 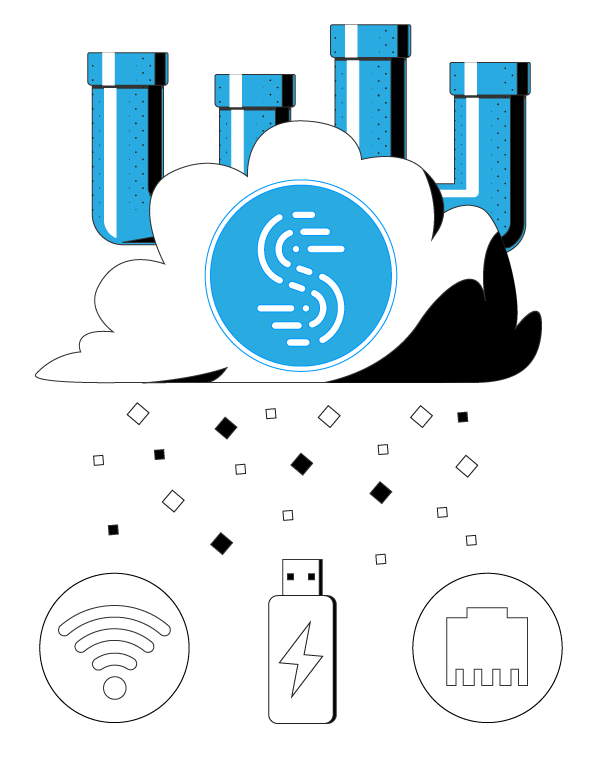 Speedify is a next generation channel bonding mobile VPN service that allows you to combine multiple Internet connections at the same time into one super pipe for increased bandwidth and reliability, while lowering latency and minimizing packet loss when streaming. Not only will you enjoy the combined speed and stability of all your connections, but if one of them disappears or disconnects Speedify will instantly and seamlessly shift your Twitch streaming to the other working connection(s) without skipping a beat – preventing minor connection problems from majorly affecting your K/D ratio. With a very simple user interface, but powerful capabilities, Speedify can easily be used successfully by both occasional live streamers on Facebook, YouTube, Twitch and also by professional broadcasters such as vloggers, gamers, reporters in the field etc. Speedify is perfect when you’ve got access to 2 or more Internet connections while streaming on Twitch – WiFi & Cellular on your smartphone; WiFi & wired Ethernet on your computer. With its mobile VPN core making the difference and at only $50 per year for a subscription (versus thousands of dollars on dedicated bonding hardware) – we believe it’s time to upgrade and finalize the Twitch streaming setup with a future-proof tool for fast and reliable Internet! Okay, @speedify update. The stream ran perfectly smooth tonight. After 3 months, 10+ Cox techs, and min 20% consistant packet loss… this tool seems to have fixed my issue. Streamed for 4 hours. Packet loss ended at .3% compared to the 20%+ normally. Get started with Speedify today – get it from our website for Windows and macOS, or from the Apple Store or Google Play Store. Need Help with Other Items on Your Twitch Streaming Setup? Check Out Twitch Tutorials! You can also check out the Twitch subreddit for more info. Find your niche and run with it! It may be Fortnite, IRL streaming or another niche – just do what you like best. Be consistent – create a streaming schedule and stick to it! Build an audience and make some friends – you can use the OPTICS approach: Opportunity, Presence, Technology, Interaction, Consistency and Skill. Being interactive is key – after all, Twitch is about interacting, not just broadcasting. Don’t worry, be happy! Remember it takes a lot of patience and hard work to “make it” on Twitch and everybody’s been through this process.